These large destroyers can carry 3 helicopters, and serve as flagships Photographed 7/96 at Alameda NAS. 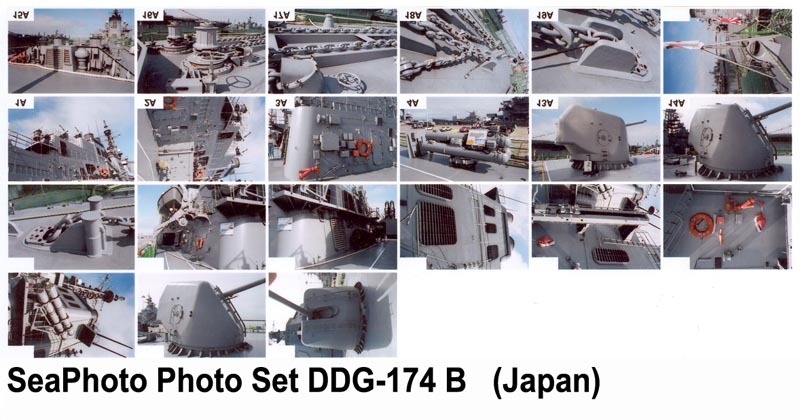 This is the Japanese version of the Arleigh Burke class, but with some distinct differences - stack shape, superstructure height, helicopter deck arrangement and some weapons. All carry the names of famous World War II naval units. Interesting ships! Photographed at Alameda NAS and SF Bay during July, 1996. Photographed in June 1997 at San Diego, California during the first Fleet Week celebration in that city. Built during the late 80's, these are modern, fast, formidable ASW platforms. Photographed 7/96 at Alameda NAS. Good general destroyers, built in the mid 80's. 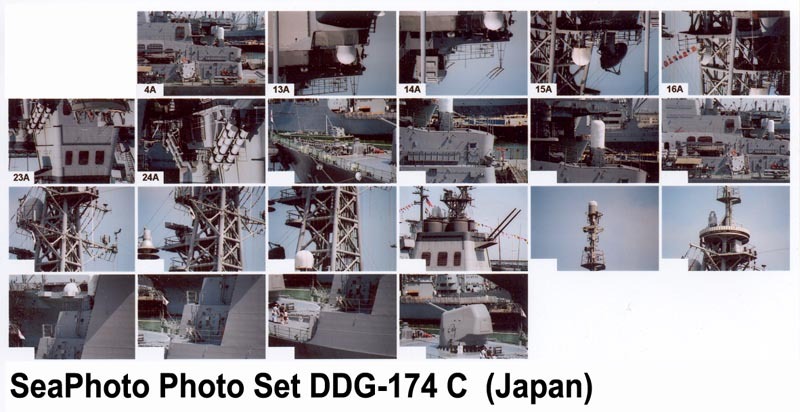 Photographed in SF, 10/92 Sets include detail views of both ships, which are sisters. Training ship used by the Japanese Coast Guard. Photographed 1997 during a port visit to San Francisco.